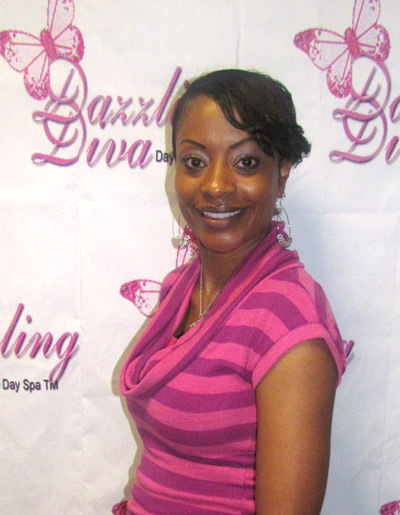 So, with my two “divas-in-training” by my side, we headed over to Dazzling Diva Day Spa for a day of fun, because after all…who can pass on a trip to the spa? (queue the crickets…) As I walked throughout the facility I stumbled a few times over my jaw which was dragging on the floor beneath me. Pink, purple, and zebra print accents adorned the walls and decor, setting the ambiance for a glamtastic experience. The Dazzling Diva Day Spa was the perfect setting for this Fro Fashion Week soiree, aptly named “I love me & I have the right to remain curly!” which focuses on building and instilling self esteem and self confidence in our little girls, and to remind them that they are beautiful just as they are. Amen! 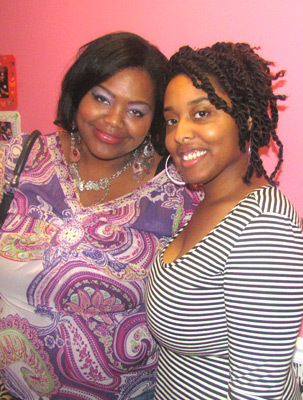 CEO and founder of Fro Fashion Week and Naturally Me Media, Tarin Boone spearheaded this soirée which featured a lineup of fabulous women who shared stories and motivating words of encouragement that inspired the girls to embrace their natural hair. Guests were treated to deliciously tasty mini cupcakes with cute toppers from Chanelle’s Heavenly Treasures by Chanelle Watson, drinks and fabulous swag bags. 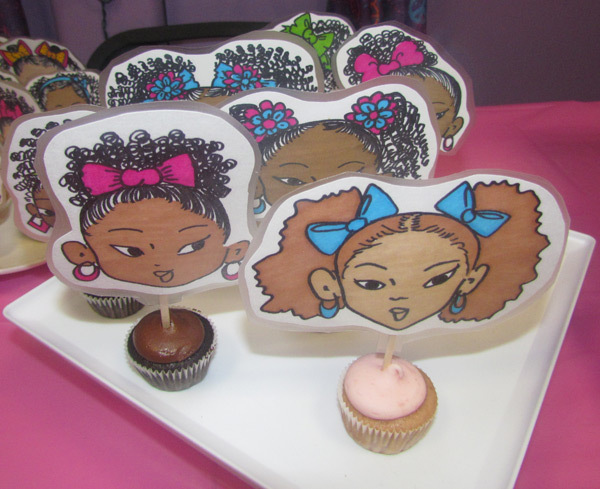 And speaking of which, included in the swag bags was a sample from Jessicurl, a coloring book from Ayanna’s Art made especially for the event, along with Crayola’s MultiCultural crayons. 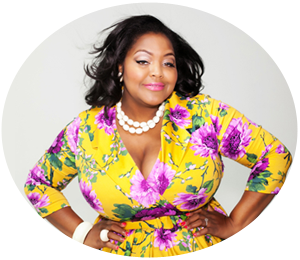 The hostess for the eve was Julia Davis who is a natural hair blogger for TruCHATonline.com; a blog that covers topics involving culinary, hair & fashion, affairs and event planning, and teen related subjects. 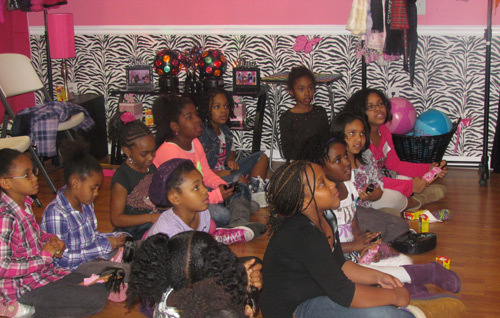 Jessica McGuinty of Jessicurl spoke to the girls about some of her experiences growing up as a little girl, how they should embrace their naturally curly hair just as she has her own, and how her curly hair was the inspiration behind the creation of her company. 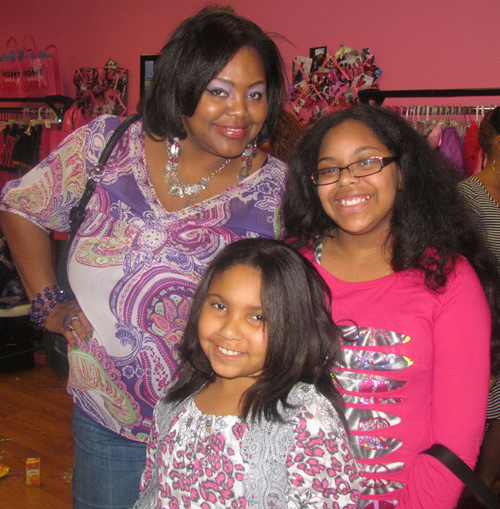 One highlight of the event was when Trina Pierre, stylist and owner of Salon Infinity, demonstrated a cool way to twist a Barbie Doll’s straight hair to give it a cute natural style, just like their own. Author and Illustrator Ayanna Davis was also there to share her wonderful children’s book 12 Months with Ayanna’s Kids, where she selected several lucky little divas to read aloud from her book. 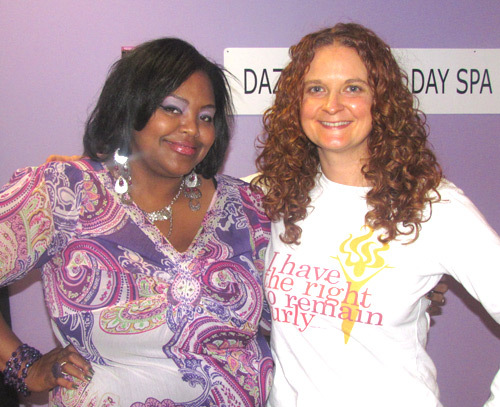 Also, Authoprenuer and empowerment speaker Daree Allen, discussed her book “What’s Wrong with Me?” which is a memoir/self-help guide for teen girls and young women. 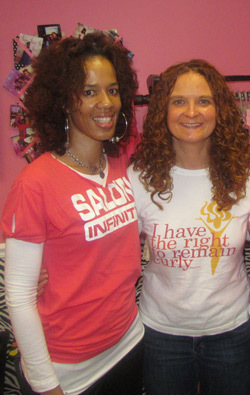 Thanks to Tarin Boone for having this wonderful spirit boosting event as part of the Fro Fashion Week activities. My girls are still talking about how much fun they had, and all the things they learned. I know that we all left with a renewed sense of self worth, and my girls and I are forever grateful.